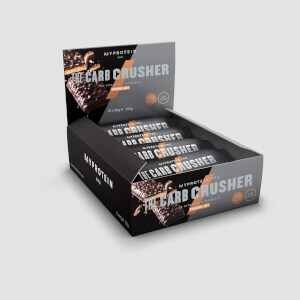 Containing 30g of high-quality protein, these are the perfect snack to help grow and maintain important muscle1 — supporting your fitness goals whether you’re trying to tone-up or lose weight. 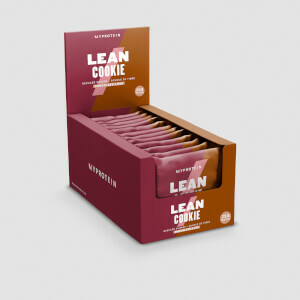 Available in five indulgent flavours, they’re low in sugar, great for on the go, and will have you hitting targets without any meal prep. When to enjoy High-Protein Bar? Whenever you need a protein and carb hit — this sweet snack is ideal for a pre-workout energy boost,2 post-workout pick-me-up, or just to have at your desk to combat that midday slump. What to enjoy High-Protein Bars with? High-Protein Bars are great for whenever hunger strikes, but for an even more effective energy boost you should try our Green Tea Extract Plus — a super-concentrated form of green tea that gives you 36mg of caffeine per tablet. For allergens, including cereals containing gluten, see ingredients in bold. May also contain wheat, barley, oats, eggs, peanuts, nuts, sesame seeds and sulphur dioxide. Chocolate Coconut Flavour: Protein Blend (18%) (Milk Protein, Whey Protein Concentrate (Milk)), Humectants (Glycerol, Maltitol), Hydrolysed Collagen, Milk Chocolate Flavoured Coating (14%) (Sweeteners (Isomalt, Sucralose), Non-Hydrogenated Palm and Palm Kernel Oil, Whey Powder (Milk), Fat Reduced Cocoa Powder, Fortified Wheat Flour (Wheat Flour, Calcium Carbonate, Iron, Niacin, Thiamin), Emulsifiers (Soya Lecithin, E476), Natural Flavouring), Fructo-Oligosaccharides, Soya Protein Isolate, Bulking Agent (Polydextrose), Desiccated Coconut, Flavouring, Rapeseed Oil, Salt, Sweetener (Sucralose), Antioxidant (Natural Mixed Tocopherols). Chocolate Orange Flavour: Protein Blend (26%) (Milk Protein, Whey Protein Concentrate (Milk)), Humectants (Glycerol, Maltitol), Dark Chocolate Flavoured Coating (14%) (Sweeteners (Isomalt, Sucralose), Non-Hydrogenated Palm and Palm Kernel Oil, Fat Reduced Cocoa Powder, Emulsifiers (Soya Lecithin, E476)), Hydrolysed Collagen, Fructo-Oligosaccharides, Soya Protein Isolate, Bulking Agent (Polydextrose), Colours (Carotenes, Curcumin, Carmine), Flavouring, Rapeseed Oil, Salt, Sweetener (Sucralose), Antioxidant (Natural Mixed Tocopherols). 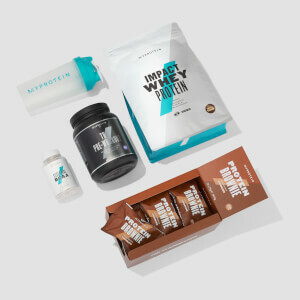 Chocolate Mint Flavour: Protein Blend (20%) (Whey Protein Concentrate (Milk), Milk Protein), Humectants (Glycerol, Maltitol), Hydrolysed Collagen, Dark Chocolate Flavoured Coating (14%) (Sweeteners (Isomalt, Sucralose), Non-Hydrogenated Palm and Palm Kernel Oil, Fat Reduced Cocoa Powder, Emulsifiers (Soya Lecithin, E476)), Fructo-Oligosaccharides, Soya Protein Isolate, Bulking Agent (Polydextrose), Colour (Lutein), Flavouring, Rapeseed Oil, Salt, Spirulina Powder, Sweetener (Sucralose), Antioxidant (Natural Mixed Tocopherols). 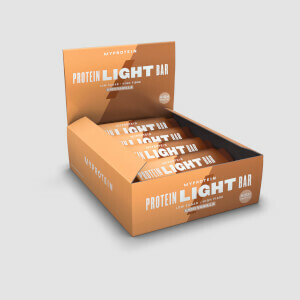 Strawberry & Cream Flavour: Protein Blend (20%) (Whey Protein Concentrate (Milk), Milk Protein), Humectants (Glycerol, Maltitol), Hydrolysed Collagen, Milk Chocolate Flavoured Coating (14%) (Sweeteners (Isomalt, Sucralose), Non-Hydrogenated Palm and Palm Kernel Oil, Whey Powder (Milk), Fat Reduced Cocoa Powder, Fortified Wheat Flour (Wheat Flour, Calcium Carbonate, Iron, Niacin, Thiamin), Emulsifiers (Soya Lecithin, E476), Natural Flavouring), Fructo-Oligosaccharides, Soya Protein Isolate, Bulking Agent (Polydextrose), Freeze Dried Strawberry Powder, Flavouring, Rapeseed Oil, Colour (Beetroot Red), Acid (Citric Acid), Salt, Sweetener (Sucralose), Antioxidant (Natural Mixed Tocopherols). Vanilla & Honeycomb Flavour: Protein Blend (23%) (Milk Protein, Whey Protein Concentrate (Milk)), Humectants (Glycerol, Maltitol), Milk Chocolate Flavoured Coating (14%) (Sweeteners (Isomalt, Sucralose), Non-Hydrogenated Palm and Palm Kernel Oil, Whey Powder (Milk), Fat Reduced Cocoa Powder, Fortified Wheat Flour (Wheat Flour, Calcium Carbonate, Iron, Niacin, Thiamin), Emulsifiers (Soya Lecithin, E476), Natural Flavouring), Hydrolysed Collagen, Fructo-Oligosaccharides, Soya Protein Isolate, Bulking Agent (Polydextrose), Flavouring, Rapeseed Oil, Salt, Sweetener (Sucralose), Antioxidant (Natural Mixed Tocopherols). The nutritional information is based on the Vanilla and Honeycomb Flavour version, when choosing an alternative flavour the nutritional values may vary. Flavoured high protein bar with chocolate flavoured coating and sweeteners. This is a pretty effective bar and quite easy to eat for a protein bar. The honeycomb flavour was underwhelming but the chocolate orange is quite good.